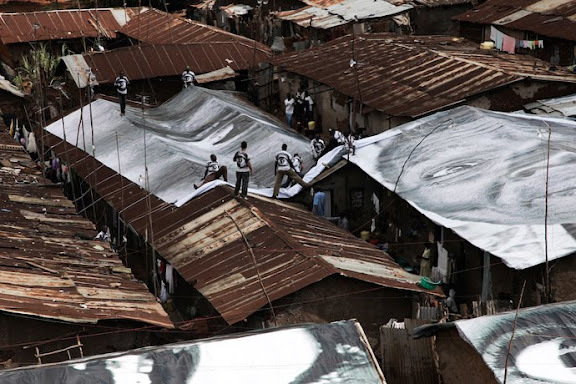 I have featured the work of French photographer JR before when admiring the sheer size and unique application of his portraits, but today his work is admired for using his art to uplift the spirits of some of poorest people in this world. Specifically, his latest exhibit “Women are Heroes” speaks volumes about how important women are in the success of its people. I say this, not necessarily as a woman, but more as a mother. It reminds me of the statement Dress for Success Memphis uses in defining the importance of helping women become self-sufficient. 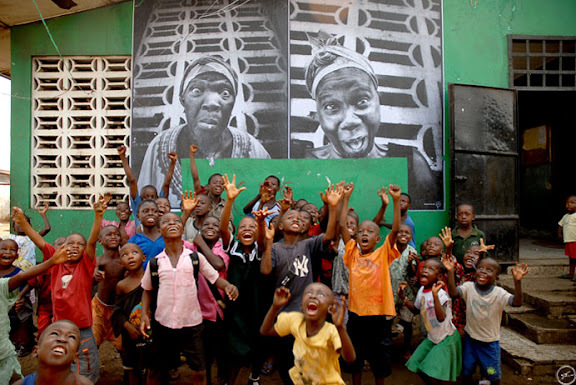 When a woman / a mother is changed, a child is changed; and as our future, our community will be changed, for the better. 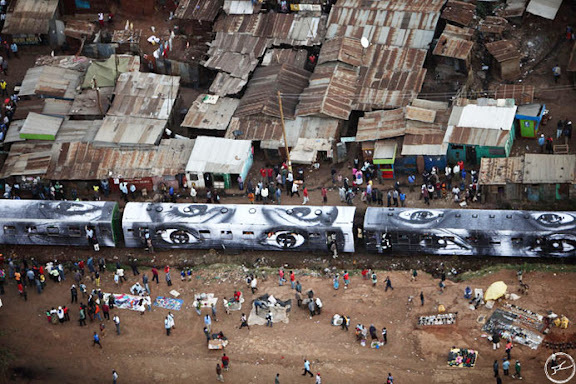 His photos enliven the slums of Kibera in Naiobi, Kenya. 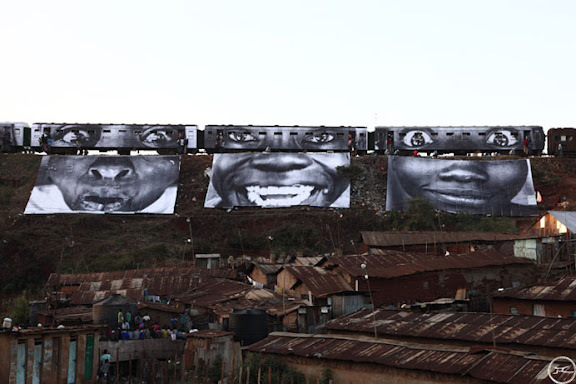 Trains, buses, walls and rooftops become the gallery space. 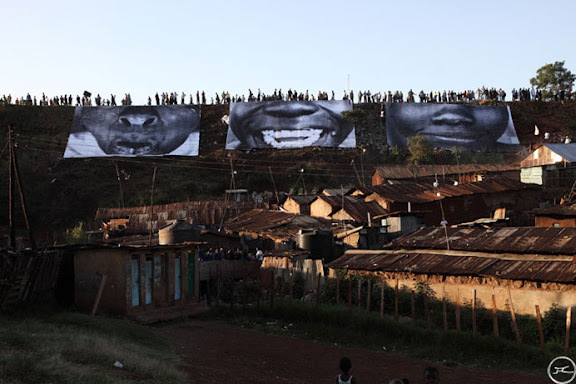 On many levels his photos help the village. As the photos are printed on water-resistant vinyl, they also help provide a layer of protection over the loosely laid rooftops. 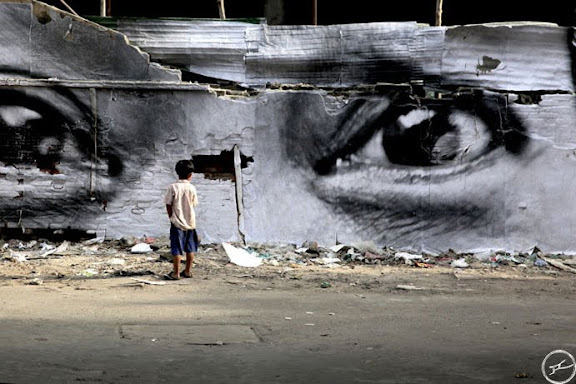 He has also had the portraits of women installed in Cambodia (as in photo below), India, and Brazil. Below is a trailer from the first film from JR currently titled “Women are Heroes.” It is to be released in 2010. Photos from JR Website. All Rights Reserved.